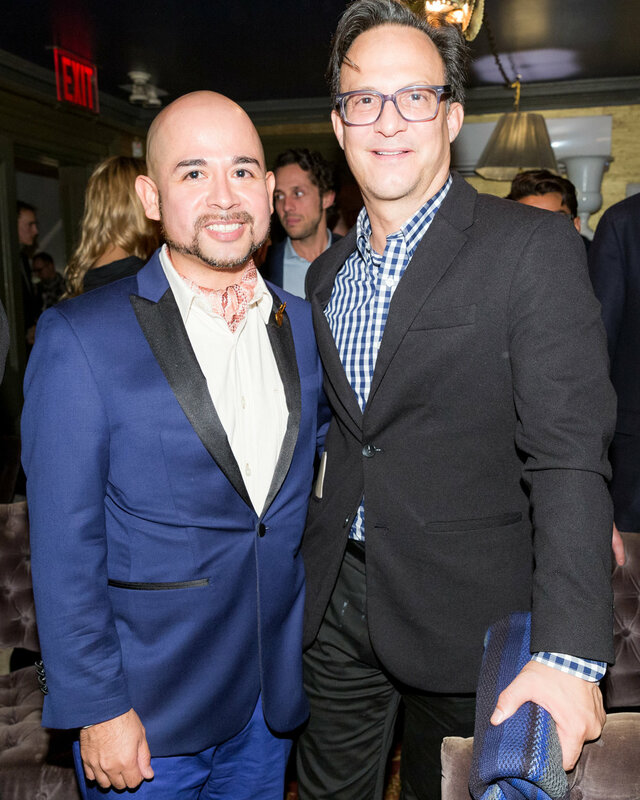 On Monday evening, CAF sponsored artist, Duniesky Martín, was invited to unveil his work during a private salon at Norwood Club in New York City. Hosted by the Benevolent Collectors Circle Project for Emerging and Olfactory Art, members of the art world discussed the Joys and Benefits of Collecting Art. The panel was led by Gerard Segovia and included panelists Brian Maloney (CUSP NYC), Anita Durst (Chashama), Michael Stern (Jerome L. Stern Foundation), Nathalie Angles (Residency Unlimited), and Stas Johnson (Artsy). After an enlightening conversation about the values of collecting emerging art, Gerard Segovia unveiled two artworks. One was a painting by Duniesky Martín, from his recently exhibited collection, El Difícil Acto de Confundir el Horizonte, and the other was an Air Sculpture® Encapsulate created by Christophe Laudamiel that captured the color "Millennial Pink" in an olfactory form. The unveilings shared commonalities of containment, touching upon issues in Cuba and the difficulty artists have had leaving the island with current governmental events. Martín's piece was also a visual complement to the panel discussion's topic and focus on emerging art and artists. for their support of emerging artists. For more information about the Benevolent Collectors Circle Project for Emerging and Olfactory Art, please contact Gerard Segovia. Duniesky Martín´s work revolves around social components such as the collective imaginary, the historical memory, esthetic paradigms, and cultural stereotypes. He has developed his work in different media such as drawing, painting, video, installation, and environment. He is considered, by specialized critics, as a "multidisciplinary artist" within Contemporary Cuban Art. To inquire about El Dificil Acto de Confundir el Horizonte, please contact: rachel@cubanartistsfund.org.